Who’s to say you can’t be caught smiling, even when you’re going for a Mad Max aesthetic? 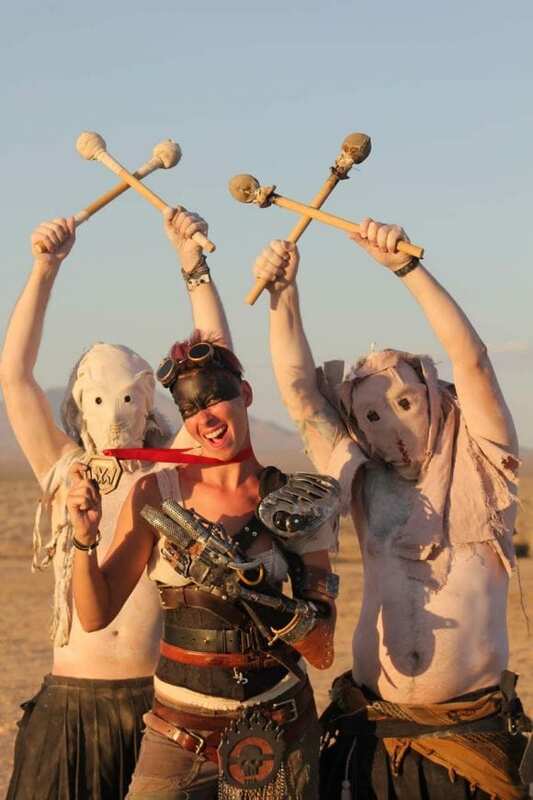 With her steampunk goggles atop her crop of red hair, this reveler has given her own twist on a classic Mad Max character: Charlize Theron’s screen-conquering performance as the recent feminist icon, Imperator Furiosa. She’s paid incredible attention and care to the smallest details of her outfit, trying to be as faithful as possible to the original costume out of the film. Behind her are war drummers, who, adding to the impending sense of doom and terror throughout the film, strike fear into the hearts of their victims on massive taiko drums. In this case, though, they’re more so vital parts of a magnetic visual.